Lake Zurich HS Band: Back At IT!!! 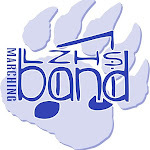 Welcome back LZ Band! Thanks for an outstanding band camp. We're off to a great start to a great year! Just a reminder that this Saturday is our band car wash. We can use anyone's help. Thanks to everyone that signed up, but you can come even if you didn't. Some great events that I want to make sure are on everyone calendars-Northwestern Band day-Sept. 7 (everyone's going!). Thanksgiving Day Parade downtown Chicago on Thanksgiving day. This is a great opportunity to be in a big parade and a great warm up for everyone heading to Spain with us. We need everyone to put our best foot forward. Spain-Last call for Spain trippers beginning of September. We'd love to have you! Thanks again for all your efforts at camp. I'm thankful that the weather cooperated and for all the great work from our drum majors to give the camp an extra dose of fun. Thanks Amy, Logan and Sabina!